Diagnostic testing is essential to identify the source of your pet’s illnesses. It’s easy to take comfort in knowing that our facility is equipped with the latest diagnostic and surgical equipment. 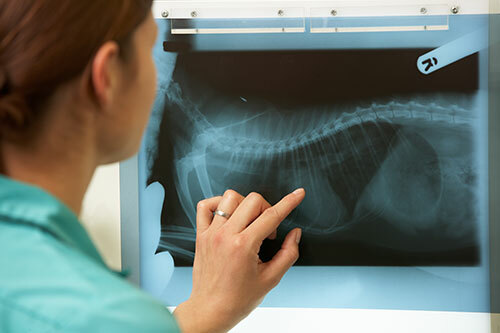 We consult with boarded specialists such as radiologists, internists, and surgeons to properly evaluate a pet exam and manage your pet’s condition. Unsure why your pet is acting strange or has new or unusual bumps? Unfortunately, cancer development is quite common as pets age. Furthermore, since our pets age at a quicker rate than humans, vital organ cells deteriorate quicker as well. Our team of specialists can diagnose whether your pet is in need of surgery whether it be routine, or life-threatening, it never hurts to get diagnosed. On top of measuring weight, eyes, ears, and other basic examinations, we also want to test for things our veterinarians cannot see. Our state-of-the-art lab testing is completely in-house. We can do urine tests, blood work, stool samplings, and much more to determine if there are heartworms, viruses, and other issues that can cause life-threatening issues for your pet. We carry vital parameter monitoring equipment that gives our doctors immediate results and insight into your pet’s health status. We also use standard stethoscopes to listen for abnormalities in heart pulsing, breathing irregularities, and even listening for digestion track movements. When a pet is in shock or anemia, we will be able to know right away the condition and we have the necessary tools for alleviation. Digital radiography has made leaps and bounds in the last few decades. 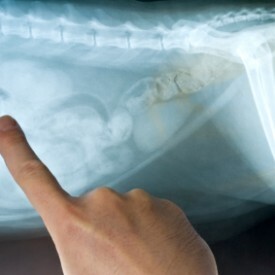 We can pinpoint your pet’s problems down to the tiny fractures in their bones or deep tissue. Our skilled veterinary team can examine radio imagery for all kinds of animals or pets. Diagnostic imaging is crucial in our steps to making a full diagnostic.